Now you can fall in love every day. In the absolute favorite glasses from the RITZENHOFF design glass series Everyday Darling. The chic all-rounders with the trendy decors of well-known designers are good-mood companions for the whole day. The high-quality, colorful beakers do it all. 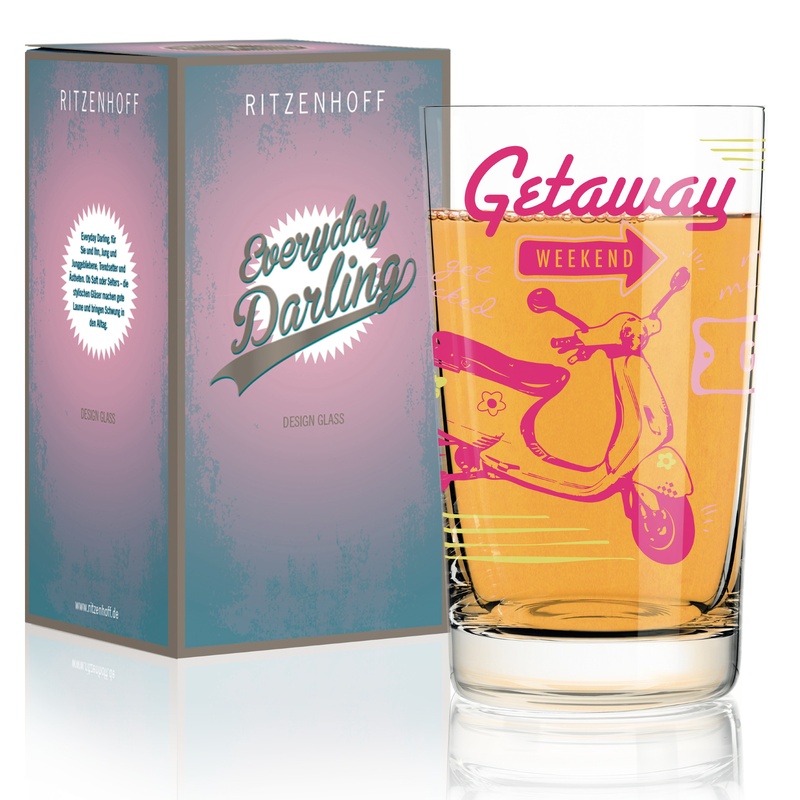 Water, juice or ice-cold lemonade - no matter what favorite - RITZENHOFF's Everyday Darling is the perfect crystal glass for every soft drink. The modern drinking glasses radiate real joie de vivre and awaken the collecting passion. Fashionistas, globetrotters and trendsetters will surely find their favorite glass in this series. Or two. Or three. And so that they are ready for daily use, all Everyday Darling drinking glasses are dishwasher safe.